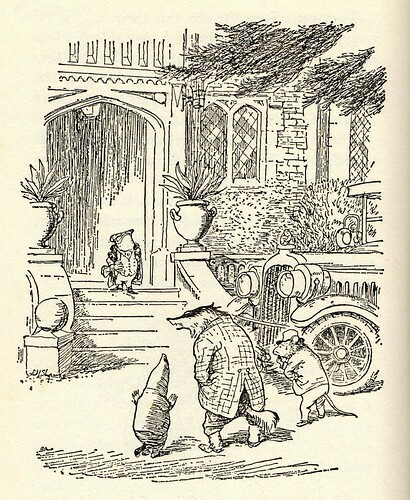 "THE Mole had been working very hard all the morning, spring-cleaning his little home. 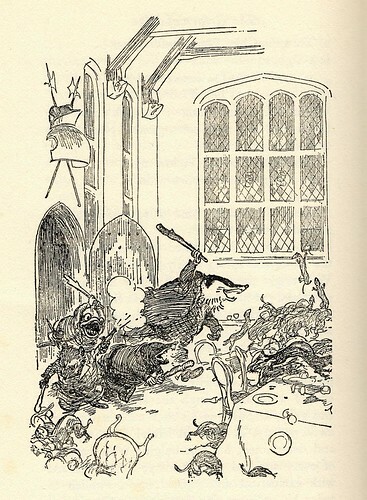 First with brooms, then with dusters; then on ladders and steps and chairs, with a brush and a pail of whitewash; till he had dust in his throat and eyes, and splashes of whitewash all over his black fur, and an aching back and weary arms. Spring was moving in the air above and in the earth below and around him, penetrating even his dark and lowly little house with its spirit of divine discontent and longing. 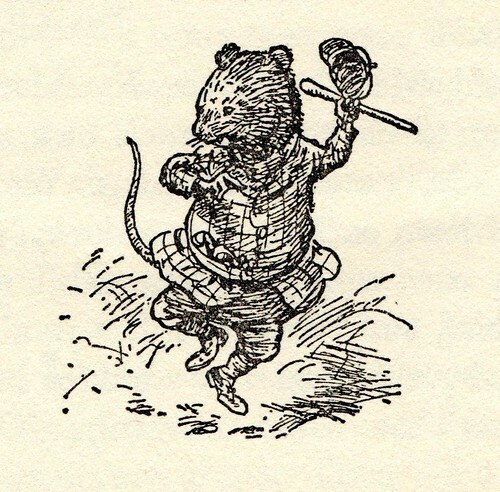 It was small wonder, then, that he suddenly flung down his brush on the floor, said `Bother! 'and `O blow!' and also `Hang spring-cleaning!' and bolted out of the house without even waiting to put on his coat. 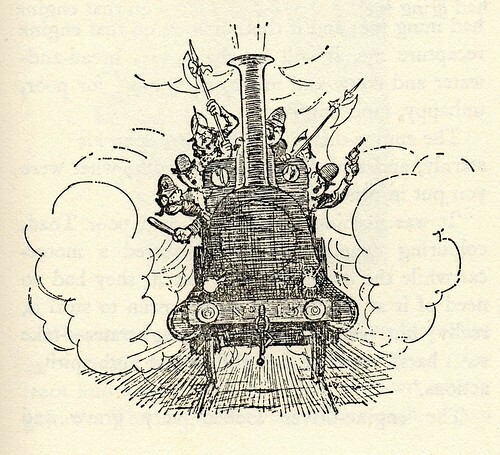 Something up above was calling him imperiously, and he made for the steep little tunnel which answered in his case to the gravelled carriage-drive owned by animals whose residences are nearer to the sun and air. So he scraped and scratched and scrabbled and scrooged and then he scrooged again and scrabbled and scratched and scraped, working busily with his little paws and muttering to himself, `Up we go! Up we go!' till at last, pop! 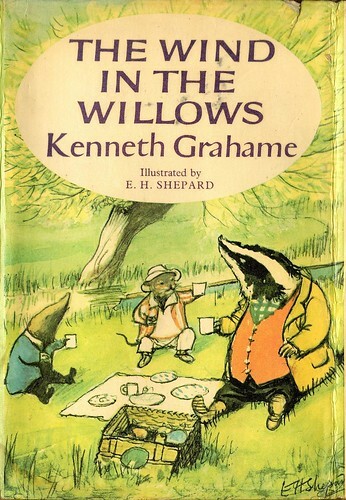 his snout came out into the sunlight, and he found himself rolling in the warm grass of a great meadow..."
'The Wind in the Willows' by Kenneth Grahame was first published in 1908 but the masterful, scratchy drawings by EH Shepard, - illustrator of 'Winnie the Pooh' - that are most closely associated with the text, were not produced until 1931. "Not sure about his new illustrator of his book, he listened patiently while I told him what I hoped to do. Then he said 'I love these little people, be kind to them'. 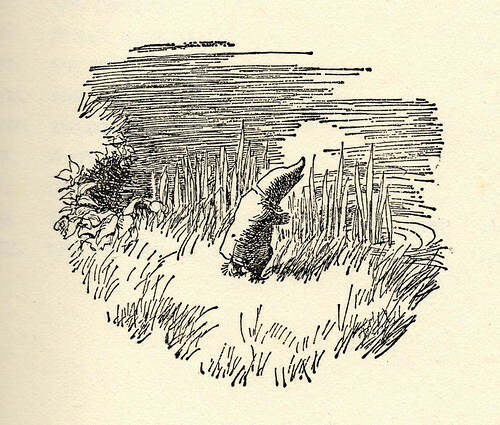 Just that; but sitting forward in his chair, resting upon the arms, his fine handsome head turned aside, looking like some ancient Viking, warming, he told me of the river nearby, of the meadows where mole broke ground that spring morning, of the banks where Rat had his house, of the pool where Otter hid, and of Wild Wood way up on the hill above the river. ...He would like, he said, to go with me to show me the river bank that he knew so well, '...but now I cannot walk so far and you must find your way alone'." 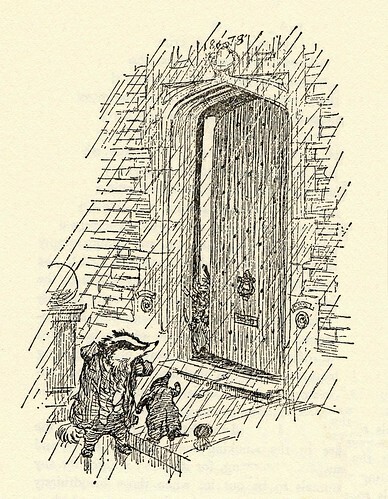 From my own perspective, the beautifully written adventures of Mr Badger, Mole, Ratty and the inimitable and credulous Toad and their friends, although composed principally as a tale for youth, is equally suitable as a pleasant diversion or panacea for the blues in adulthood. The pharmaceutical industry might well face some competition in the trade of antidepressants if a few more copies of this book were prescribed for vulnerable people during stressful episodes in their lives. It's not just escapism, seriously. It would definitely be included by me in a group of five books for a desert island. 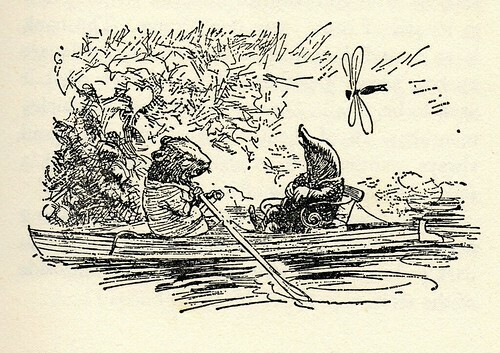 In immortalising the characters of 'The Wind in the Willows' Shepard provided more than seventy illustrations, many of which are teeny tiny vignettes. The sampling seen above was scanned from a 1970s Methuen edition and I think I removed most of the bacon and sangria stains (don't ask). There are quite a few more in the set. 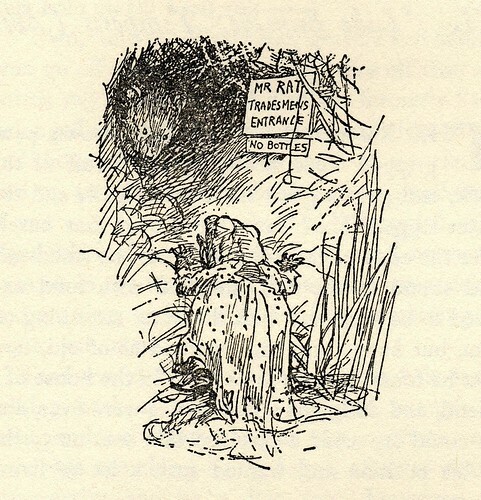 W: 'The Wind in the Willows'; Kenneth Grahame; EH Shepard. 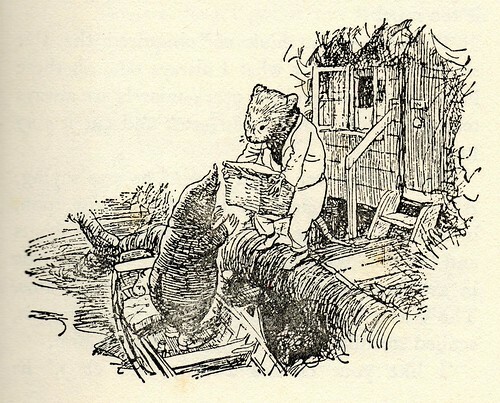 Do check out the Winnie the Pooh post, which includes a fair number of original sketches by Shepard. 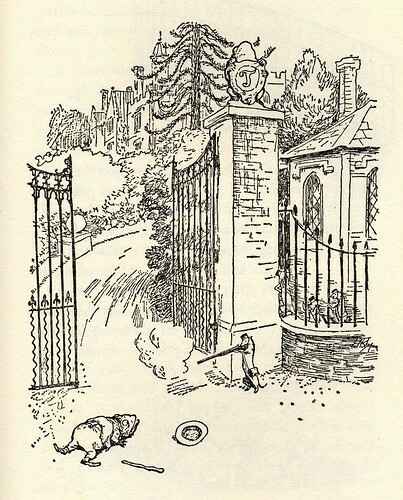 The University of Oxford site on 'The Wind in the Willows'. Salon's article [print] during the centenary year of publication is a little, um, effusive, perhaps, but still a worthwhile read. 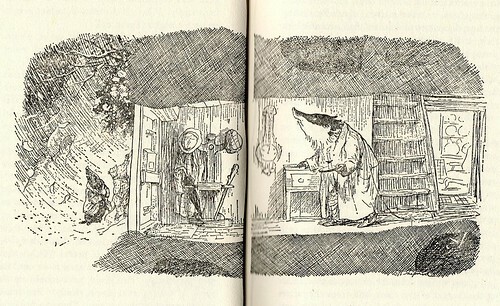 'The Wind in the Willows' at Electronic Text Center, University of Virginia Library. 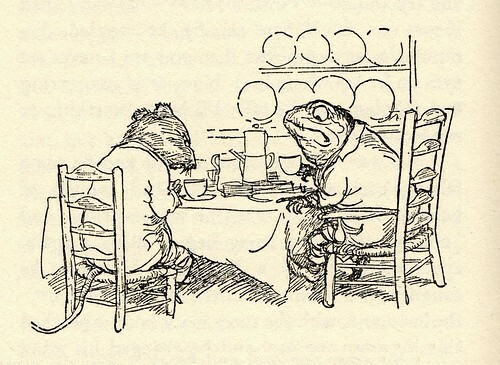 UPDATE: Coincidentally, in the New York Times today: 'A Second Wind for a Toad and His Pal' [single page]. Thanks Chris! 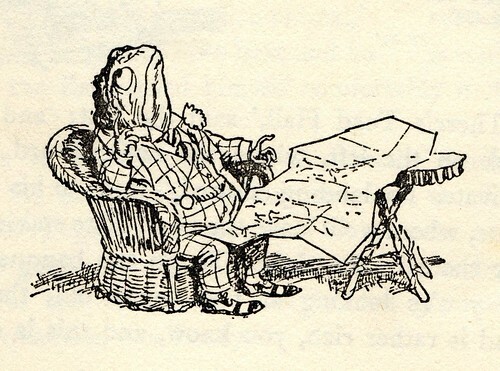 UPDATE II: from Letters of Note: Kenneth Grahame write to his son in 1907 mentioning Toad. Wonderful! 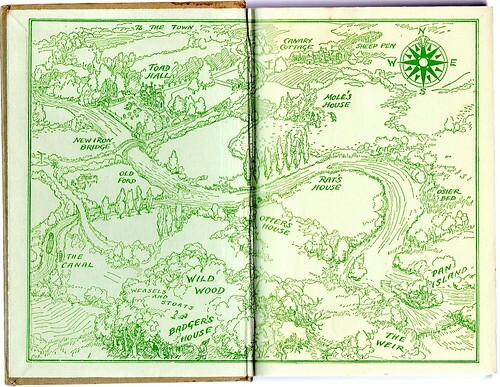 Thanks for sharing these -- I have not thought about these stories since childhood, but they were some of my favorites. You have encouraged me to pick up a copy again! OH! Thank you for posting this! 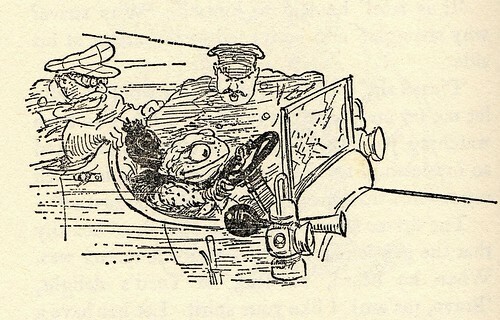 I LOVE Wind in the Willows! 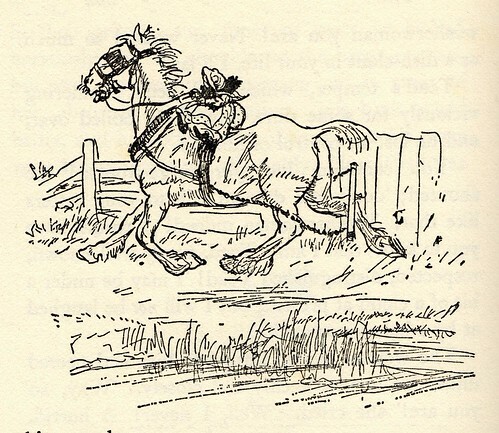 I forgot how great these illustrations are! 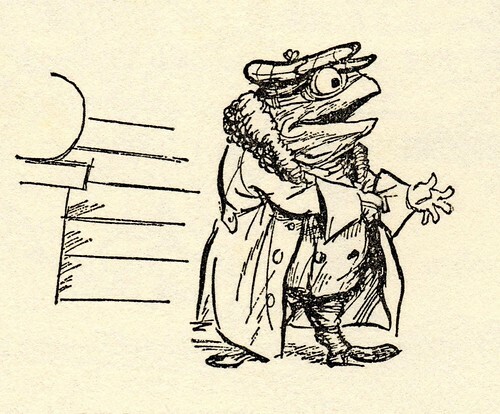 I'm going to have to get one of the frog tattooed on me. It will go so well with my Alice in Wonderland Tenniel half-sleeve! 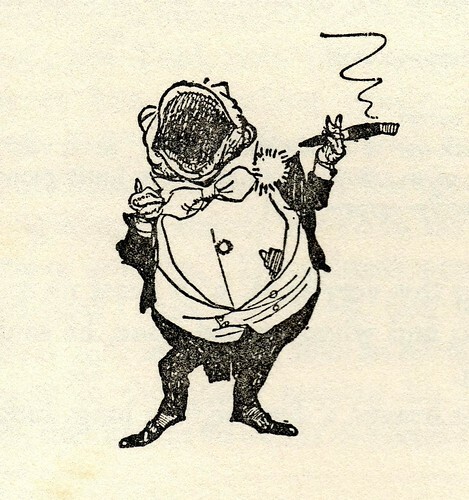 TOAD! I meant toad! Oh bother. Thanks for the treat! 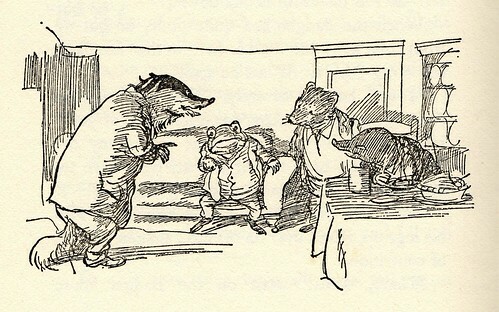 Wind in the Willows is still a fast favorite. 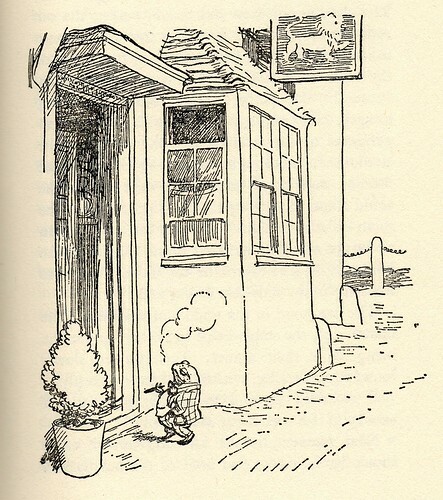 Somehow I only found out recently that Shepard had illustrated it. Even when he was in his twilight years he still had a stunning hand with the ink. The Eric Carle Museum had a small exhibit of his Winnie the Pooh pen & ink drawings recently. 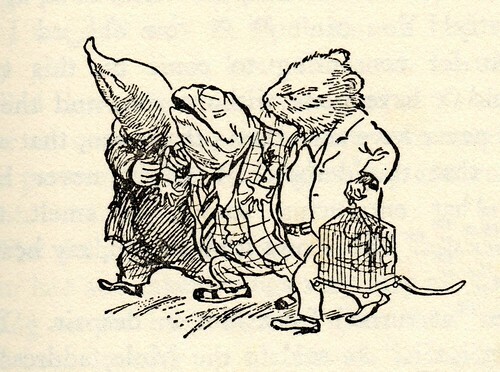 This was the edition I grew up with and this is the only illustrator I will accept for the denizens of The Wind in the Willows.